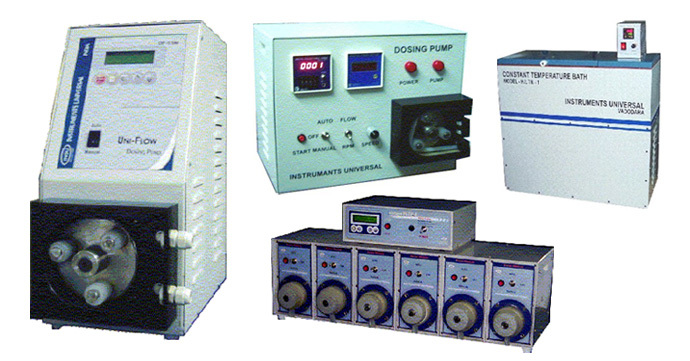 We are manufacturing laboratory equipments like dosing pumps and Constant temperature bath . We have wide range of dosing pumps with flow rate of 10 mL to 2Ltr. per Minute. These pumps can be supplied as single stand alone unit or multiple unit, constant flow / variable flow, contineous / batch operation, with / without micro controller for remote control /monitering facility as per customer demand. temperature baths in terms of accuracy.